Loose skin is often a side effect of significant weight loss and can often be disheartening. Whilst the skin may never return to its original elasticity without surgery, there are many natural ways to firm up, tone, and help improve the elasticity of loose skin. A balanced diet, daily exercise, and moisturizer may all help to tighten the skin over time. The important thing is to be patient as it will take time for your skin to adjust to the size of your smaller frame. Sagging skin after weight loss is quite common and is nothing to be ashamed of. The skin is the largest organ of the body and needs as much love and care as the rest of the body. The skin is extremely elasticated so that it can stretch with our bodies as we grow. Therefore, it makes sense that immediately after significant weight loss, there is likely to be some sagging of the skin. The most common places for loose skin after weight loss are on the underside of the arms, on the tummy, and underneath the chin. Whilst this loose skin may be upsetting, it is important to remember that your skin is able to change its shape and tighten up. It just takes time. There are many factors that may also contribute to how well your skin is able to bounce back after weight loss. These might include a history of smoking, your age, the amount of weight you lost and how quickly, and genetics. This isn’t to say that you won’t be able to firm up your skin, just that it may take a little bit longer. There are many things you can do that are natural to help tighten sagging skin and maintain the overall health of your skin. 1. Slow down your weight loss. The speed with which weight is lost is a huge factor in how well your skin adapts to your new, smaller size. By slowing the speed at which you lose weight, your skin more easily adjusts its elasticity levels to match the muscle tone of your slimmer figure. 2. Build more lean muscle through strength training. Similar to slowing down weight loss, building more lean muscle helps to support the elasticity development of your skin along with your changing body. By reducing the amount of cardio and increasing strength training, you build lean muscle. Instead of bulking your frame, a good balance will help you tone your skin and overall figure. Smoking not only is bad for overall health but it accelerates the aging of your skin. It does this by reducing vitamin A and moisture in your skin. Smoking also breaks down the elasticity of the skin and is detrimental to the texture and brightness of your skin. However, quitting smoking can rejuvenate the skin. According to a study from the International Association of Ecologic Dermatology, smokers of over nine years may see a significant age reduction in their skin within nine months of quitting. Along with quitting smoking and changing up your workouts, maintaining a healthy diet is crucial. Our bodies crave certain nutrients to keep our entire body healthy, but certain foods are especially helpful to our skin. Foods high in vitamins A, C, and E have been shown to help improve skin elasticity and tightness. Vitamin C is particularly helpful in firming up skin. The body uses vitamin C to help create collagen, which plumps the skin and helps to give it that firm appearance. Foods that are high in all of these vitamins include citrus fruits and dark leafy greens. Also, increasing your daily intake of lean protein will significantly help support the production of collagen. 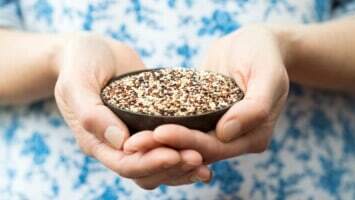 Importantly, it will help restore the elasticated protein fibers of the skin. Our bodies are made up of around 75% water. 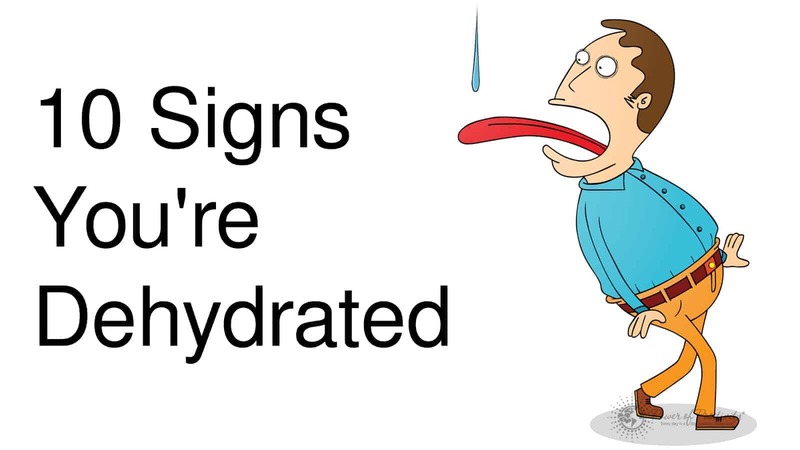 For this reason it is incredibly important that we stay hydrated, both inside and outside. It is important that we drink approximately three liters of water every day. This will keep our bodies fully hydrated. Also, using an intensive daily moisturizer that includes vitamin E or collagen will maintain skin hydration. It will encourage the firming of your skin due to the moisture your skin requires to repair and strengthen itself. As mentioned before, increasing collagen production in the body helps to tighten and firm skin through improved elasticity. Increasing the daily intake of gelatin, borage oil, and collagen have been shown in numerous studies to help improve the elasticity and firmness of the skin. Just as it takes time to lose the weight, it takes time to tighten muscles or sagging skin. The recommendations above can help in helping your skin improve texture and tone at a faster speed, but unfortunately, it won’t happen overnight. So be patient and take the time to enjoy your new body! 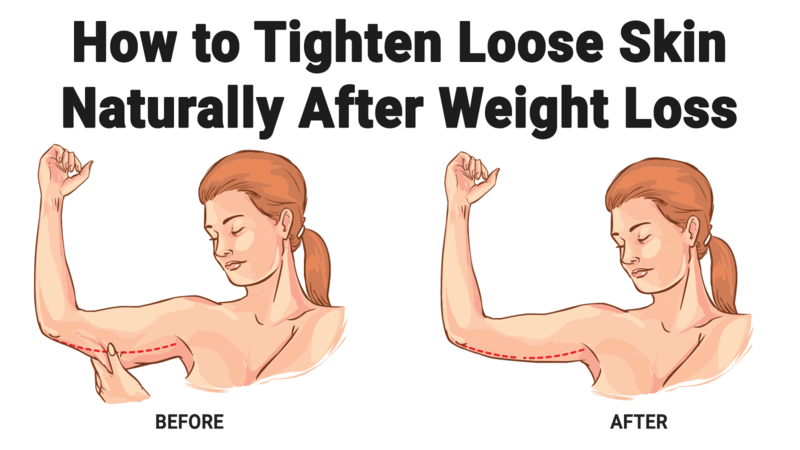 It is entirely possible to tighten sagging skin naturally after weight loss. It will take time and patience, but you can do it. By changing certain factors in your life, you can support your skin, improving elasticity and overall firmness over time. The important thing to remember is to love the skin that you are in and enjoy your body for all that it is.